Scott Sorrels, with the Boy Scouts of America, speaks as representatives from Scouts of Mexico look on. 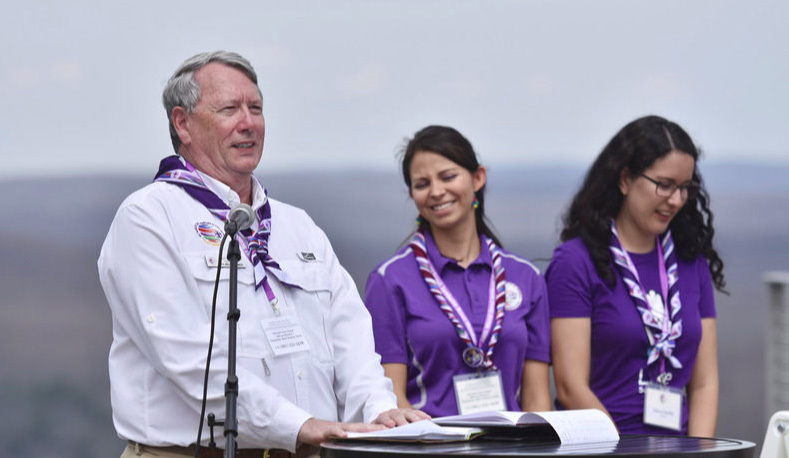 Members from around the world met Thursday to discuss the upcoming World Jamboree at Summit Bechtel Reserve in Glen Jean. 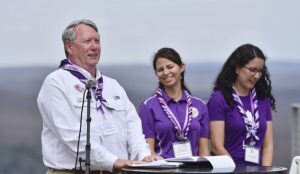 BECKLEY, W.Va. — On Thursday, high atop the Summit Bechtel Reserve and overlooking much of Fayette County, Scout leaders from around the world gathered to celebrate the upcoming World Scout Jamboree — set to begin on July 22. The largest Scout event in the world, the World Jamboree shifts locations throughout the world every four years. The last time the event took place in the United States was in 1967. The Boy Scouts of America, Scouts Canada and Scouts Mexico are all taking a role in organizing the event this year — a first for such a collaboration.